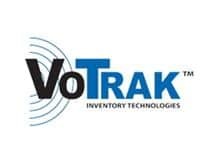 According to Perrin, inventory auditors using the VoTrak software speak into a headset marking the beginning and end of each merchandise section, recording the item prices, and number of items at each price. The spoken information is transmitted wirelessly to a laptop computer for translation into accurate data stored in the AccuTrak inventory management database or customer databases. Increased accuracy to 100%. Eliminate need for 10-key input experience. Train inventory staff in hours. 30% reduction in inventory times for costs savings.